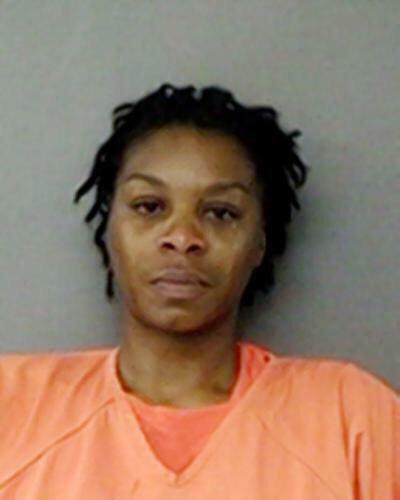 Sandra Bland’s mugshot! Your thoughts? 1/. The lighting/filtering, the eyes and the posture all sticks out for me. Maybe it’s because I take a keen interest in photography, graphics and photoshop..
2/. 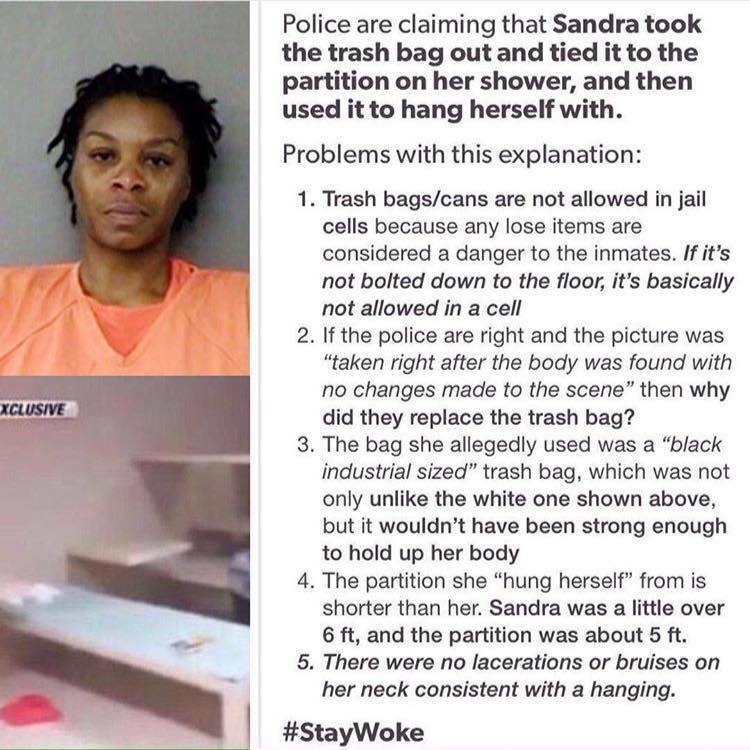 The shadow around Sandra Bland’s head suggests she is laying down on he floor, and someone standing over her taking the picture. When in fact she should be sitting up..
3/. Sandra has orange clothes on instead of her normal clothes.. All other mugshots frm that station, they all have their own clothes on as the mugshot is taken shortly after they are booked in..
6/. Sandra’s right shoulder (our left) looks outstretched. Either someone is holding her arm out or she is laying down with her arm outstretched. 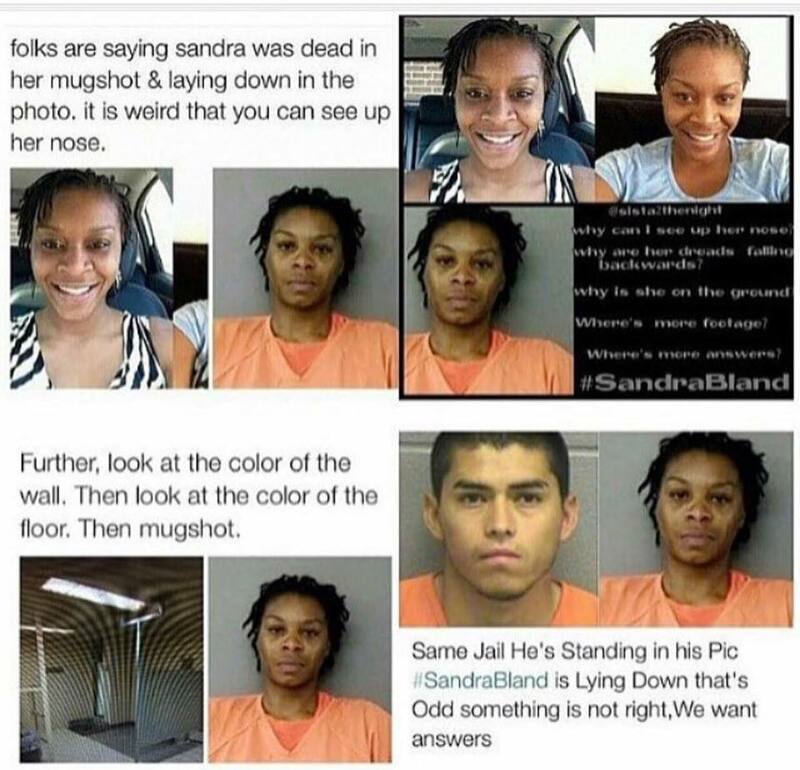 All til now we haven’t been able to see footage of Sandra in the jail… I want to see what state she was in as she entered the jail and I want to see her walking to and from her cell… Where has all the footage miraculously disappeared to? Why does every other cell have cameras but Sandra’s cell does not?